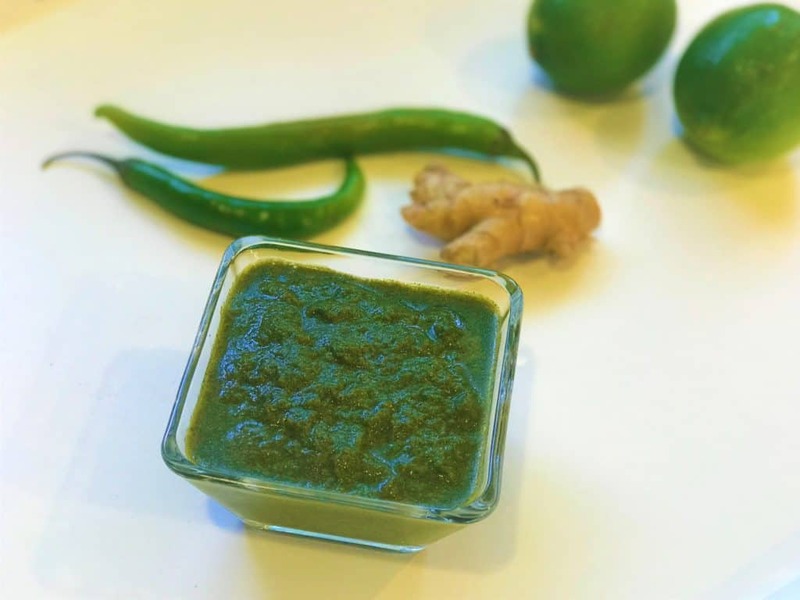 A cool, spicy and tangy green chutney. This is a no-cook mint cilantro dip, blended with ginger, onion and seasoning. Perfect with appetizers. Indian food is incomplete without chutneys. If you have been to an Indian buffet, you will always find a green mint or cilantro chutney and a tamarind chutney. 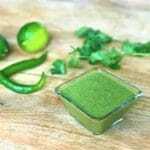 Today we will be making the green chutney. 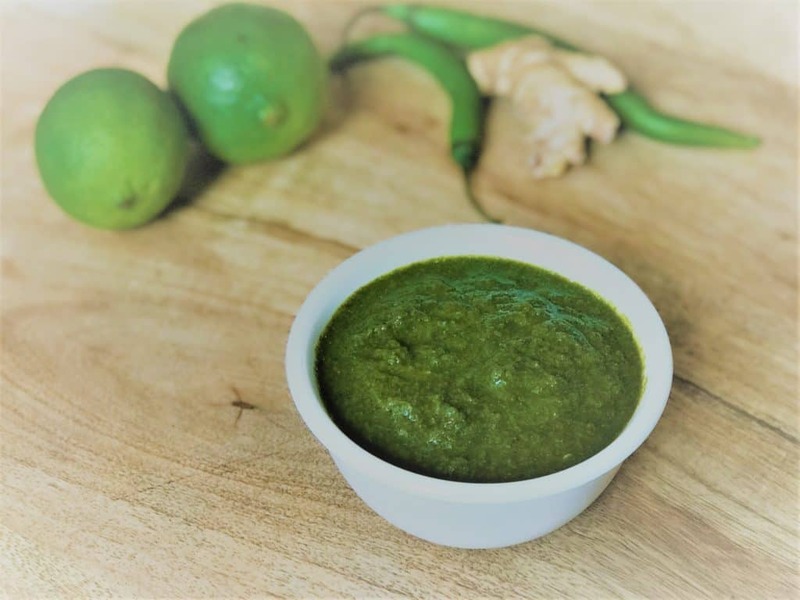 This chutney goes well with all kinds of Indian food, appetizers such as samosas, pakoras, as a side with your dinner, or as a dip for veggies. I recently got the air fryer and have been craving this chutney with all the crispy veggies I am making in it. 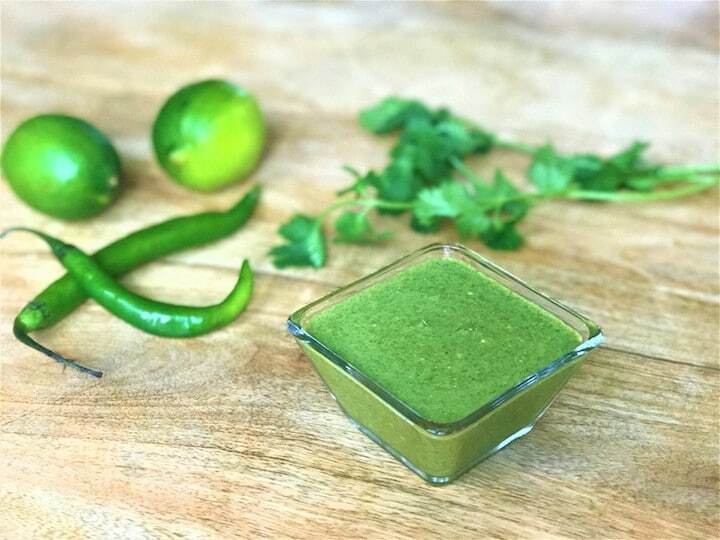 This green chutney is cool, spicy and tangy at the same time. 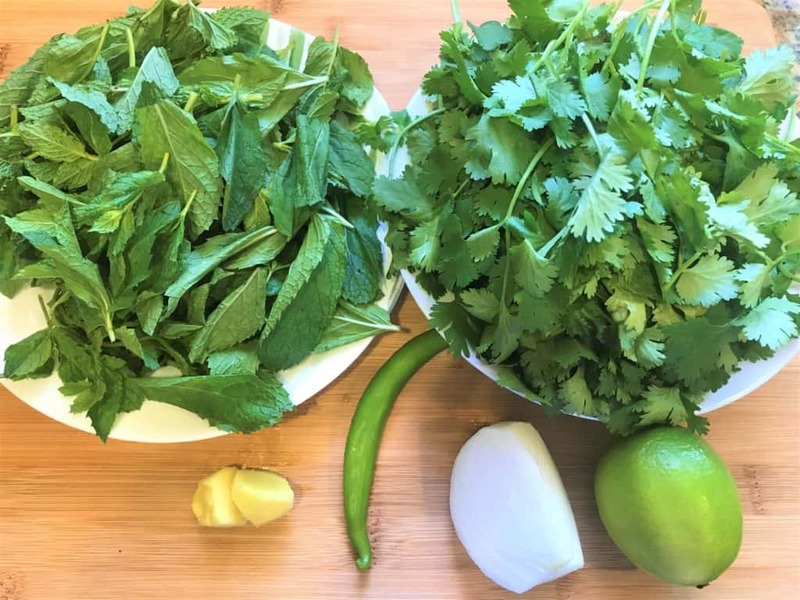 I use both mint and cilantro to make this chutney. You can also make it with just cilantro. In hindi, we call this Dhaniya Pudhina Chutney. Dhaniya is cilantro and pudhina is mint. I remember growing up we used to enjoy green chutney sandwiches. They were made with white bread, butter, a good slather of green chutney and stuffed with tomato, onion, cucumber slices. Oh so yummy! There were specific food stalls we would visit (similar to food trucks), just because the chutney at one was better than the other. 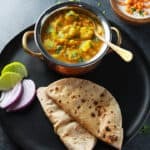 How to make Green Chutney? Start with getting all the ingredients ready. Below are the main ingredients I used along with salt and pepper. I took one portion of mint with two portions of cilantro. 1-2 green chilies, which can be adjusted based on taste. 1/4 of an onion, which adds a little sweetness. 1″ ginger and juice of a lemon. As a side note, it is okay to add cilantro stems when making chutney. 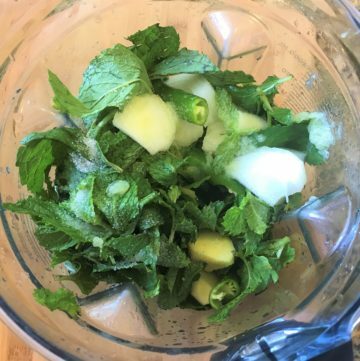 I usually don’t add mint stems as they are too thick and change the taste of the chutney. Add all these to a blender. Squeeze the lemon juice. Add seasoning and off you roll! Optionally if you want a spicier chutney, add 1/2 tsp ground cumin seeds and 1/4 tsp black salt for a variation. 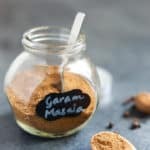 I use my Vitamix to make these chutneys and many other things such as smoothies and idli/dosa batter. 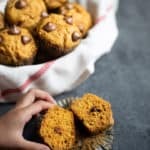 You could very well use the blender you have in your kitchen. The chutney is ready for you to enjoy. 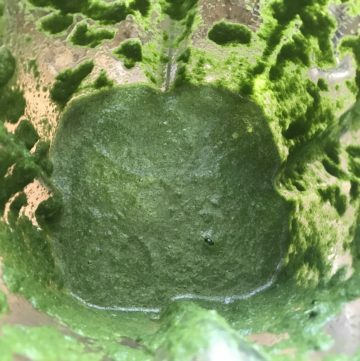 Green chutney also freezes well. 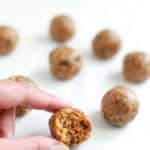 You can make it in bulk and store in small containers in the freezer. Defrost one at a time and enjoy. I enjoyed this chutney with air fried Taro Fries. There are many variations you can make with this chutney. One is to add 1/4 cup of yogurt. This is the one you will find frequently in restaurants. It reduces the spiciness and adds a refreshing touch to the chutney. If you like a more thick creamier taste, add 1/4 cup of roasted peanuts to this chutney while grinding. I love to try variations each time I make green chutney. You can try them too! 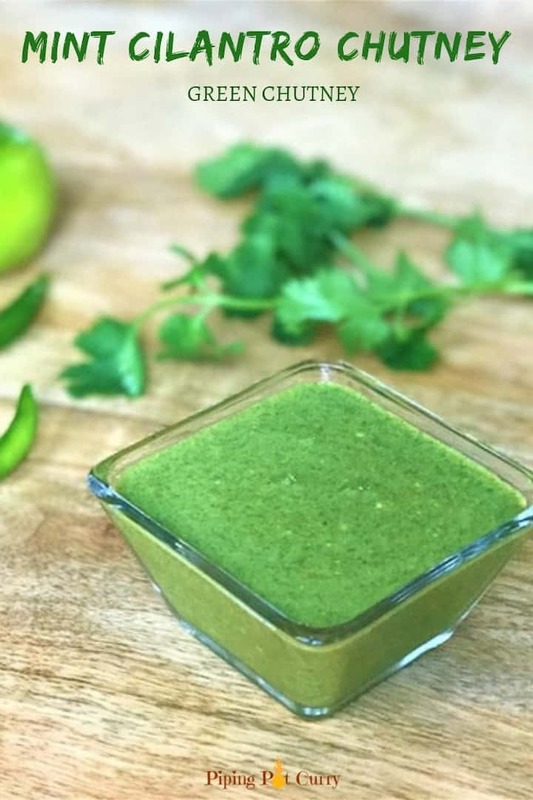 A cool, tangy and spicy green chutney made using coriander and mint leaves. Clean the cilantro and mint leaves under running water. Blend at low speed until the ingredients start to mix, then increase the speed and blend to a smooth paste. You might have to stop and stir the ingredients couple of times. Chutney is ready. 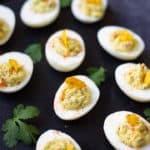 Enjoy with your favorite appetizers. Use water sparingly, as you don't want the chutney to be watery. 1/4 cup worked perfectly for me. Optionally if you want a spicier chutney, add 1/2 tsp ground cumin seeds, 1/4 tsp black salt and 1/4 tsp red chili powder.